Fake Food Watch: McDonalds vs Flame Broiler: Kids Making Healthier Choices? Surprising Good News! McDonalds vs Flame Broiler: Kids Making Healthier Choices? Surprising Good News! "Flame Broiler" exclaimed my favorite eight-year-old when I asked where she'd like to have lunch. 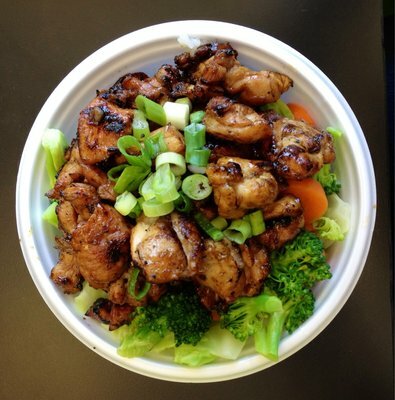 "I love Flame Broiler!" she exuded, once she realized that Chuck E. Cheese wasn't an option on our fun but busy school-shopping day together. "Huh?" I wondered. "Not McDonalds with their new Despicable Me 2 toys? The gigantic in-door playground? She dives with gusto into those greasy chicken nuggets and fries." Is this the same girl who, two years ago, adamantly refused to eat anything green, especially broccoli? 99% of all ads aimed at kids came from McDonald's or Burger King. 80% of the kids ads aired on Cartoon Network, Nickelodeon, Disney, or Nicktoons. Over 50% mentioned a major movie. 70% of kids ads focused on a toy giveaway of some sort. Flame Broiler instead of McDonalds? That low-key fast-food eatery that bills itself as "The Healthy Option"? I'd never been to one, but was certain I'd seen a couple in our suburban town. "Our commitment to friendly service, a clean and inviting environment, and healthy food served fast has already won the approval of our customers of all ethnicities. Also, for health's sake, we are working towards the goal of serving all organic, 100% natural food. Not perfect, but always working towards perfection!" Gab savored our lunch together with her trademark exuberance, and so did I. I silently marveled again at Gab's wise parents, my son and her mother. And am grateful for the all-encompassing nutrition agenda at her elementary school. Are kids making healthier food choices these days? Is ever-aware Gabriela a harbinger of yet another trend? "Younger children had the highest levels of physical activity and fruit and vegetable consumption. But as children got older, the frequency of eating junk foods and engaging in sedentary behaviors crept up... Teenagers also reported drinking slightly fewer soft drinks and eating less candy. "In the past year, other studies have hinted at improvements in the obesity rate among younger children, with some even showing a decline in some cities... Dr. Iannotti said the findings seemed to suggest a pattern. 'I think the public health message is beginning to be accepted,' he said." That kids are voluntarily making healthier food choices is good news for for their physical and mental health, and thus, good news for the health of our nation. But it's also superb news that powerful, pervasive advertising by industrial food mega-corporations... McDonalds and Burger King, makers of highly processed cereals, soft drinks, and the like... is fading in influence over our children. I can't imagine better fake-food news. Can you? Great piece! It's so important to recognize the progress that is being made and look at how to shine bright lights on these good examples and then multiply the results. Thanks so much, Cynthia! And thank you for all you do at Gatherwell.com.